Mornington Peninsula landscapers, Paul McQuillan Landscapes create compelling water features that stand-out and increase your homes value. 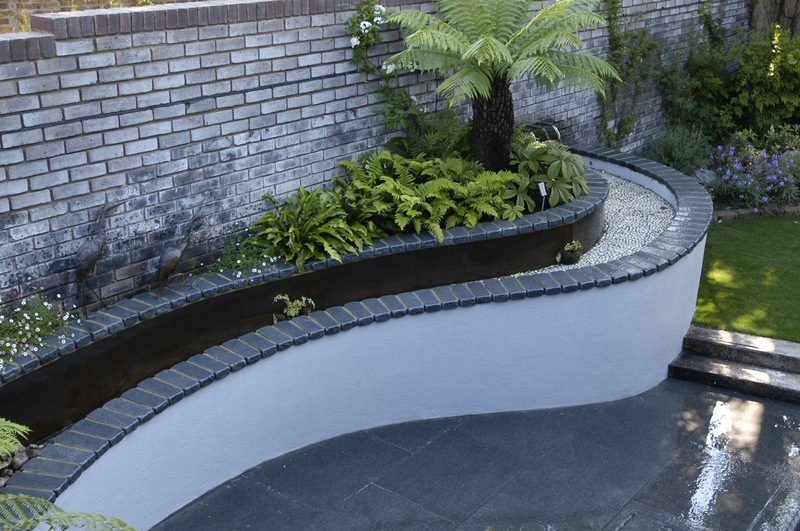 Water features are a beautiful way of showing off the natural flow and elegance of water within your garden and well-designed, can moderate an areas temperature and be used to direct irrigation to the benefit of your whole landscape. A timelessly amazing element, water is irreplaceable in gardens, not just for the survival of your plants but as an exciting part of landscape design. Used in so many ways, water can feature in natural looking creek beds, water fountains and waterfalls, reflection ponds, spill ways, architectural water curtains, bird baths and ponds. 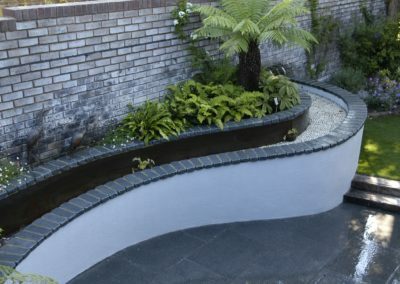 Water naturally calms us and water features create a focal point in gardens that attract people to linger and enjoy the benefits that being near flowing water brings. 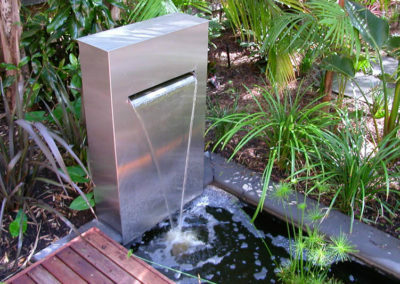 Your water feature may be grand and dynamic or subtle and small. The powerful effect of water is that utilised in a smart design, it cannot fail to please! 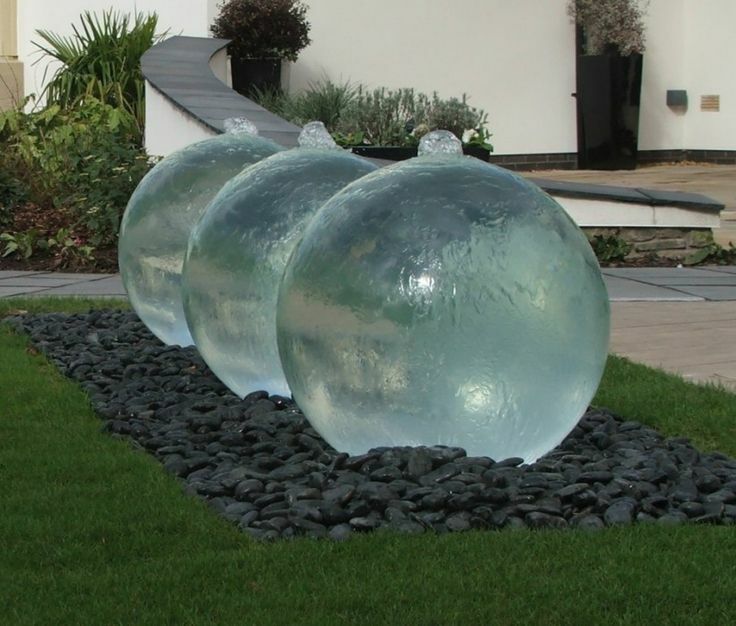 Paul McQuillan water features are designed specifically around your customised preferences in size, style, materials and budget allowance. 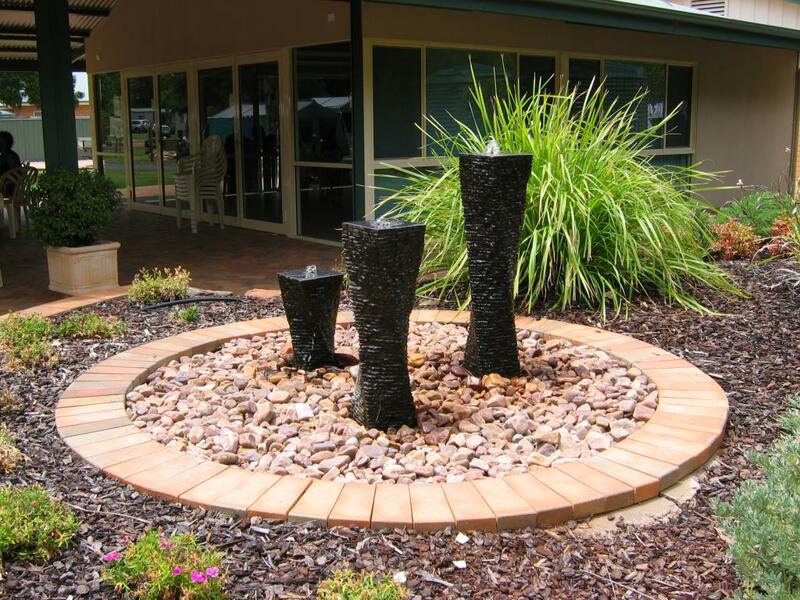 Compatible materials we use include natural stone, timbers, brick and concrete and water features can become unique garden artworks. 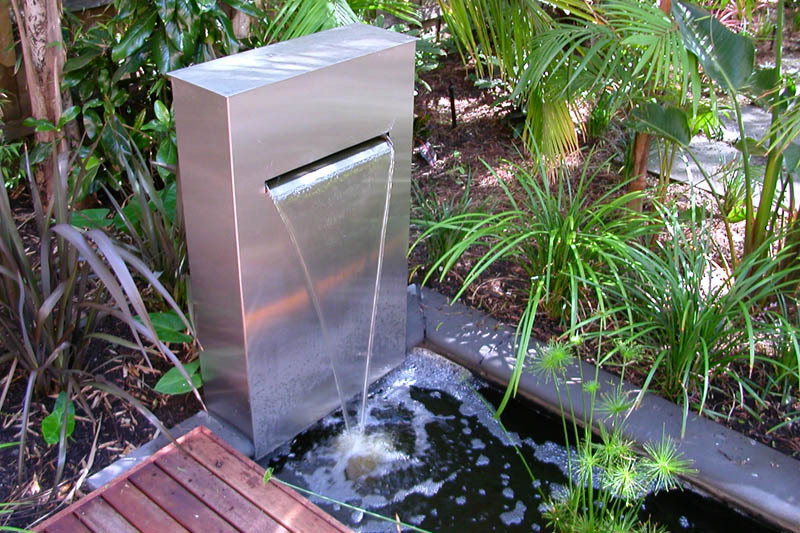 The water features for properties in Mornington Peninsula that we design and install are fully modernised with low-running costs and smooth operation. All plumbing, preparation and irrigation needs are completely taken care of. Installation is seamless and easy. Water features are an impressive addition to your home and once implemented into your landscape design, beckons you to spend time in the garden! Also known to increase the value of properties in Mornington Peninsula, water features are a great addition to properties in locations such as Shoreham, Flinders, Sorrento, Rosebud, Frankston and Mt Martha.